All of the early explorers on the Columbia River were fascinated by the burial sheds on this portion of the Columbia, which were located near the powerhouse of the present-day Bonneville Dam. Some of the vaults contained so many skeletons that it was obvious that they had been in use for many generations. Later observers noted that infants and children who died were often submerged in quiet, still ponds of water instead. Others reported that the custom included a specialized undertaker who prepared the bodies and carefully wrapped them for interment. Fall was a season for remembering the dead and maintaining the dead houses. At that time, family members would inspect the tombs, clean things up, and re-dress and re-wrap the bodies as necessary. The undertakers would sometimes speak with the dead. They explained that the voices of the recent dead were the easiest to hear. After sometime, the voices become fainter, eventually dwindling to nothing as the body crumbled to dust. But in the century following Lewis & Clark’s visit, disease took a ravaging toll on the people of the Dalles area, and the burial vaults fell into disrepair. 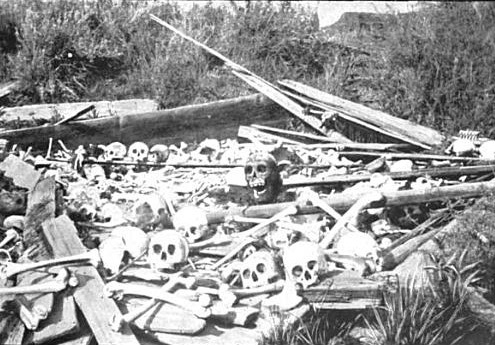 Many of them were heavily looted by white settlers, not only of the artifacts that Clark described but even of the bones themselves, which were carted off wholesale to museums. Missionaries and early explorers did leave some accounts of the funeral practices of the people, which included a ceremonial wake that lasted a week or more. Gifts from the mourners were attached to the bundle in which the deceased was wrapped. After the loved one was placed in the family charnel house, mourning continued for several days more days. 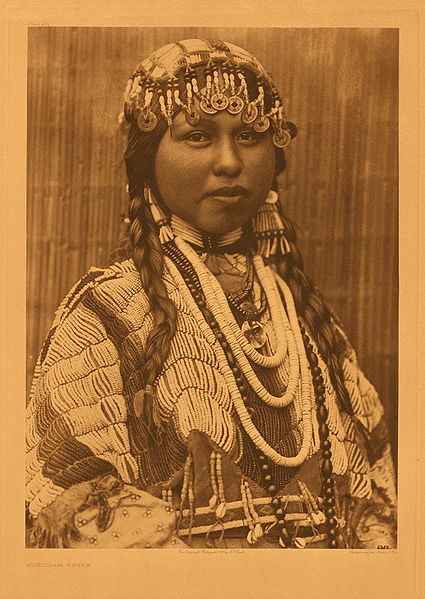 The survivors cut their hair short (one reason that many of the Indians assumed that the Corps of Discovery was in mourning) and then underwent a purifying sweat bath before moving on with the business of living. Missionaries also reported a more grisly aspect of the culture. At times, a favorite slave would be bound hand and foot and place in the charnel house with the deceased, in order to wait on him or her in the next world. Any other slave who died was not accorded any burial privileges, but simply dumped outside of camp and left for wild animals to devour. The remaining bodies in the areas were gathered up by the Army Corps of Engineers in the 1930s and buried in a single grave on the north shore about five miles east of the dam.